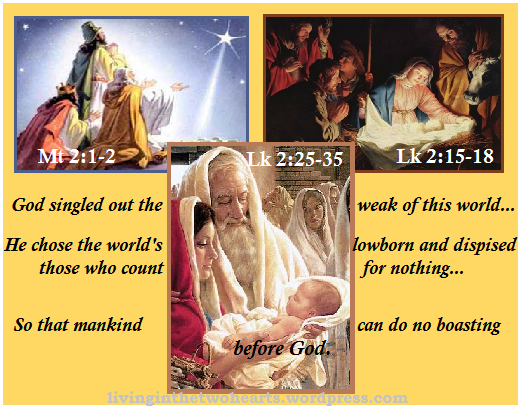 So that mankind can do no boasting before God. God it is who has given you life in Christ Jesus. He has made Him our wisdom and also our justice, our sanctification, and our redemption. The Word of the Lord … Thanks be to God! With a day in between before the UNBELIEVABLE…! Out of all the Gospel accounts of the Passion of Christ and the immediate events leading up to it, I think I like St. John’s the best. His detail is not only filled with much Spiritual Insight, but his is also a First Person account as he was the ONLY APOSTLE to be at the foot of the Cross and constantly at the side of the Mother of God, Mary, during the entire ordeal of Christ’s Passion. 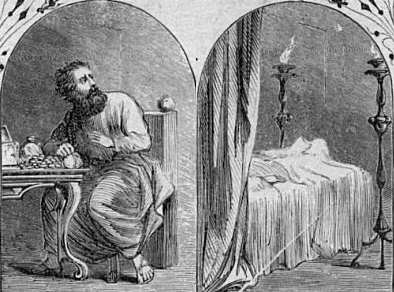 Having said that, it is important to note, in order to have the fullness of the Passion account, however, the reader does need to also refer to the both the Gospels according to St. Matthew and St Luke. …take every man a lamb according to their fathers’ houses, a lamb for a household; and if the household is too small for a lamb, then a man and his neighbor next to his house shall take according to the number of persons; according to what each can eat you shall make your count for the lamb. 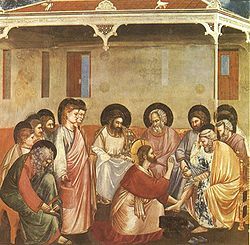 A puzzling thing, for us in this modern world of socks and shoes, to see the Savior of the world WASH the feet of those He called Apostles. But for the ancient, this action has GREAT SIGNIFICANCE. Anytime one entered into a house or a banquet there were always pitchers and basins of water available to wash the feet of those who had come in from the outside. Usually done by the person with their own dirty feet. But CHRIST washed the feet of HIS DISCIPLES, showing them utmost respect. 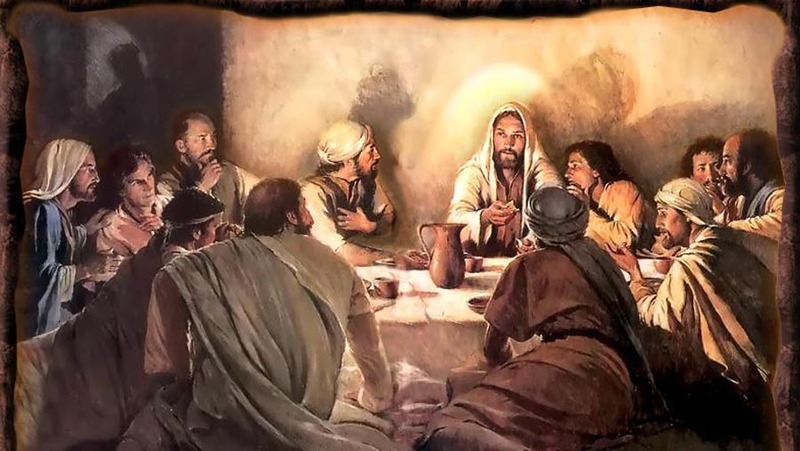 One of the Pharisees asked Him to eat with him, (Please note, Jesus did not invite him, HE INVITED Jesus. 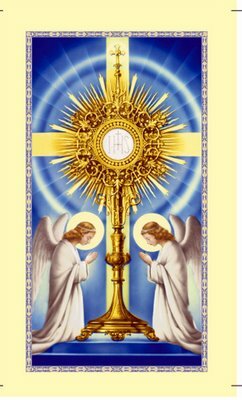 Jesus ate with sinners but only at their invitation, C. Dolan…) and He went into the Pharisee’s house, and took His place at table. And behold, a woman of the city, who was a sinner, when she learned that He was at table in the Pharisee’s house, brought an alabaster flask of ointment, and standing behind Him at His feet, weeping, she began to wet His feet with her tears, and wiped them with the hair of her head, and kissed His feet, and anointed them with the ointment. Son, they have no more wine… Do whatever He tells you. Beyond the necessary and practical, this was not the first time we encountered this. 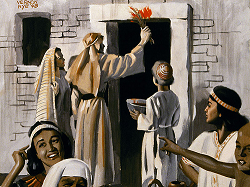 The first occurred at another feast, a WEDDING FEAST, when Jesus revealed who He was to His disciples at His mother’s request. Do you remember when? See Jn 2: 1-11. 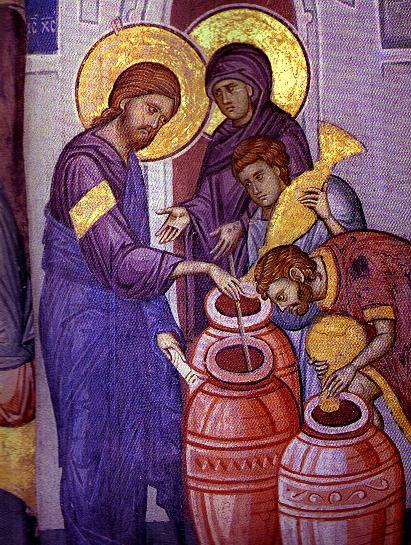 Something to note, the Jars that Jesus had filled which tells us the water in them had already been emptied. For what? For the washing of feet, as is customary when entering a house or a feast. And in these jars Jesus made NEW WINE out of water. 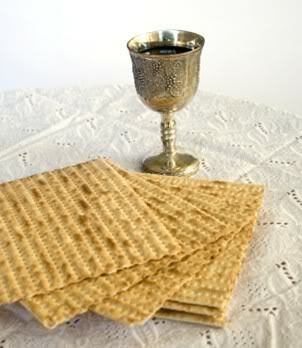 Thus giving us a FORETASTE of the NEW WINE He will soon institute during this Passover celebration with His Apostles. We come today to that solemn moment when something of Eternity, something of the sacred sanctuary where God dwells in His total otherness, breaks through out world, and we come face to face with the Living God. We celebrate today the institution of the Eucharist [the 5th Luminous Mystery] that astonishing gift that Jesus left each one of us, His Presence among us [cf Mt 28:20b], as a living memorial of His Passion and Death, and as the living evidence of His care and concern for us, who often get so lost in the business of living we can forget how precious we are to our Creator. ~Fr Clifford Stevens, Homily, Holy Thursday, emphasis added. This is My Body which is given for you. Did you know that this mirrors much of what was written in Exodus when the directions of how to eat the Passover are explained? But that ‘s not all! What about the blood from this unblemished male lamb? Question: What is often referred to as the “doorway to the soul”? Question: What kind of plague can destroy a person? 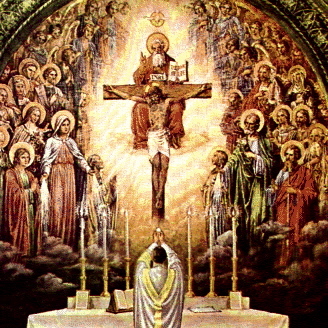 So when you attend Mass tonight, and participate in the Lord’s Supper and the washing of the feet, REMEMBER, this TREMENDOUS GIFT came from Him who is LOVE. Do not receive this gift haphazardly as if it were nothing but mere bread and wine, for what Jesus said, HE MEANT…! Have you been to Confession yet? This is it! The FINAL week before the week that literally changed the world! [Brothers and Sisters], realize that you were delivered from the futile way of life your fathers handed on to you, not by any diminishable sum of silver or gold, but by Christ’s blood beyond all price: the blood of a spotless, unblemished lamb [cf Exod 12:5a] chosen before the world’s foundation and revealed for your sake in these last days. It is through Him that you are believers in God, the God who raised Him from the dead and gave Him glory. Your faith and hope, then, are CENTERED IN GOD. ~1 Peter 1: 18-21, Evening Prayer, 5th Sunday of Lent. Our FAITH is CENTERED IN GOD, that is our FAITH revolves around the ONE Who created us; the ONE who bought us at the price of the “spotless [and] unblemished lamb” (cf, Exodus 12:5) He that IS the “Lamb of God, who takes away the sins of the world“ (Jn 1:29), He has GREAT MERCY on us! Can you hear the trumpet blast? “Let the greatest sinners place their trust in My Mercy… before I come as a Just Judge, I first open wide the door of My Mercy. He who refuses to pass through the door of My Mercy must pass through the door of My Justice.” ~Diary of St. Faustina, §1146. “Souls that make and appeal to My Mercy delight Me. To such souls I grant even more graces than they ask. I cannot punish even the greatest sinner if he makes an appeal to My compassion, but on the contrary, I justify him in My unfathomable and inscrutable mercy…” ~ Ibid. DO NOT DELAY, brothers and sisters! For we do not know how much longer we have for this time of mercy. In a “blink of an eye”, your life could be demanded of you! You fool! Tonight your life is required of you! So many have been caught “unaware” in recent natural disasters. Good and evil alike. No one was spared. You MUST have your heart revolving around GOD, that, if your soul should “be required of you”, you will not be unprepared to meet your Heavenly Father (see Hebrews 9:27). But here is the GOOD NEWS! RIGHT NOW we have a GREAT TIME OF GRACE. It’s Lent! 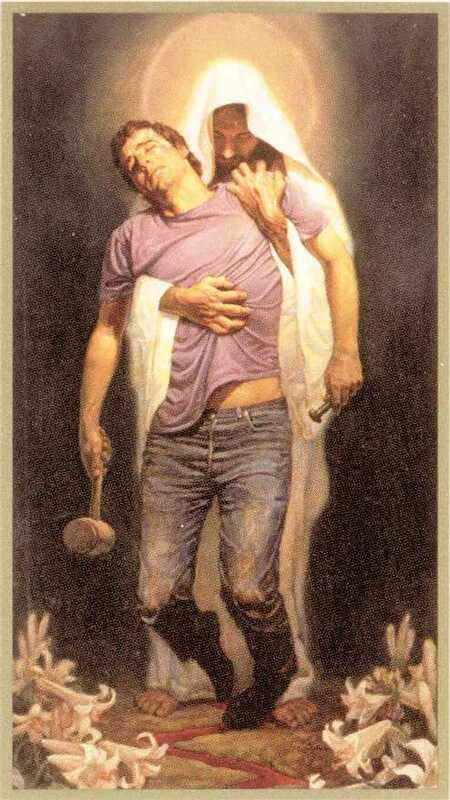 Forty (40) Days of fasting and prayer, of wrestling with temptation and the great tempter, himself! 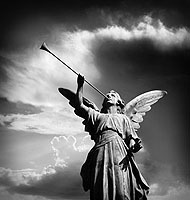 Yet, NOT WITHOUT HELP, not without a Heavenly example to guide AND guard us on our way. There is nothing we have to “invent”, all has been done before, all is before us on HOW TO GET IT DONE. So, why do we resist? “I am the light of the world, anyone who follows me will not walk in darkness.” [ Jn 8:12] What a magnificent promise. We walk in the light, a light that enlightens every human being who comes into the world, and that light is perhaps the most precious possession that we have. Lent is a time to ‘burnish that light, to trim the wicks, to put new oil in our lamps’ [cf Mt 25: 7-9], and begin to glimpse something of the wonder and the magnitude of God.” ~Fr Clifford Stevens, Homily, Monday of the 5th Week of Lent, emphasis added. God’s Mercy, especially at this time, is unprecedented and should not be taken lightly. With our world steeped in the Culture of Death, it is a wonder we are all here to “talk about it”. I thank God DAILY, that I am not He. You should too! If I were God, my patience would have worn thin long ago with mankind…and that would include myself…Oh the irony! 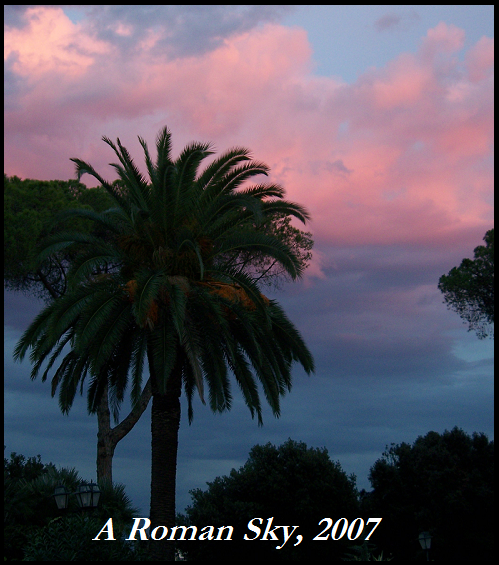 Back in 2009, a PROFOUND REFLECTION came upon me as I trimmed a tree that belonged to a friend of mine. As I trimmed I was impressed with a sense of God and the trimming in His Church and among His people, that, as the vine-dresser (cf John 15:1), He has every right to do. I highly recommend reading that reflection, as I have re-read it myself, and made a few aesthetical changes, and noticed how it REALLY REFLECTS today’s world and the work God is doing in it. Plants are not quite as simple as they seem. They need water the same as we do but they have something different about parts of the plant that no longer bear any fruit, or in this case, any leaves. That is, water will continue to be directed to all parts of the plant whether or not they contain leaves or not. Good water will be sent to dead limbs at the expense of the rest of the plant that have healthy limbs. This is partly why it is necessary to trim branches from bushes and small trees, to prevent the plant from dehydrating itself. I immediately set to work to cut free those dead and useless branches that were no longer bearing fruit that is leaves. As I reflected on this further, a situation came to mind involving a man I know. He desires holiness, but he cannot obtain it. He goes through all the motions of piety and prayer, but he remains “dead” inside. This is proven by the “fruits” his piety bares. Hardly fit to “eat”, as his behaviors remain the same, bringing stress and heartache to his family. It’s that taking of the first steps that are the hardest. Letting go of oneself and the PRIDE that stands in the way of God POURING OUT HIS LOVE on all that will COME TO HIM IN HUMILITY. No life is easy or without strife, and I know, dear apostles, that you experience your share of difficulty. These difficulties are important for you because through the suffering of them you gain mastery over yourself. You treat it differently because you know that I am with you today as I have been with you in the past. ~Monthly Message, April 2011, excerpts. Well then, IF God is FOR US – and I do believe He IS – then who can be against us? Why should we fear or live in fear when it comes to desiring and accepting the change we know needs to happen? We should not fear BECAUSE FEAR IS NOT OF GOD. GOD IS LOVE. “God is worshiped in silence – not that we can think or say nothing about Him, but that we should appreciate how far He surpasses our comprehension.” ~St. Thomas Aquinas, quoted by Fr Clifford Stevens, Homily, Ibid, emphasis added. God IS ALSO MERCY. 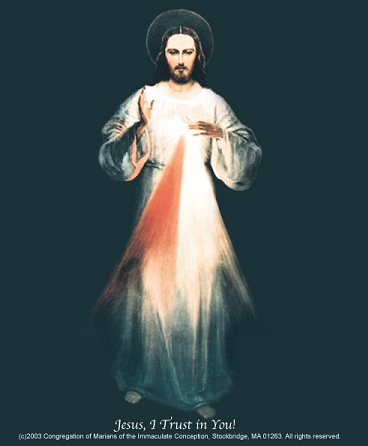 This week our focus is: Crying out, relying on, the DIVINE MERCY OF GOD. This is it, folks! Last item on THE LIST. Can you believe it? It has gone so fast! But I am confident that YOU ARE READY! From the beginning of this time of prayer and fasting, you have (hopefully) been practicing your new habits of OBEDIENCE, HUMILITY, WISDOM. Good for you for every attempt and success that you made! If you haven’t tried, do not despair, you still have this week to TRY with God’s Help. JESUS, I TRUST IN YOU! YOU ARE LOVE! FOR I CAN DO NOTHING WITHOUT YOU! BLESS ME, AND MAKE ME HOLY! Your path will be SET, TRUST IN HIM, and in ALL THINGS give GOD THE GLORY! 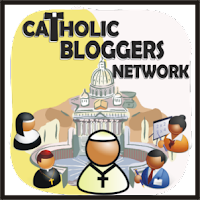 Courtesy of : www.simplecatholicliving.com Thanks, Carol!